Saddles, Bridles, Horse Rugs, Riding Boots, Grooming Brushes, Sporans. Paint, Batteries, Bee Supplies, Garden Seeds, Compost, Calor Gas, Hardware and Fancy Goods. A family owned business that has served the vibrant community of Aberlour and Speyside for over 150 years. Originally a saddler and ironmonger, we now offer a huge range of products, old and new, from handcrafted leatherwork and walking sticks to household cleaning products and watch batteries. Whether you are a local contractor needing supplies, or a visitor to the area looking for a beautiful souvenir, please feel free to visit our store and sample the local welcome. Based in Aberlour, near the famous distillery and Walkers shortbread factory, we are proud to be part of the history our local area, with a craft workshop that you are free to visit and see how we work leather. 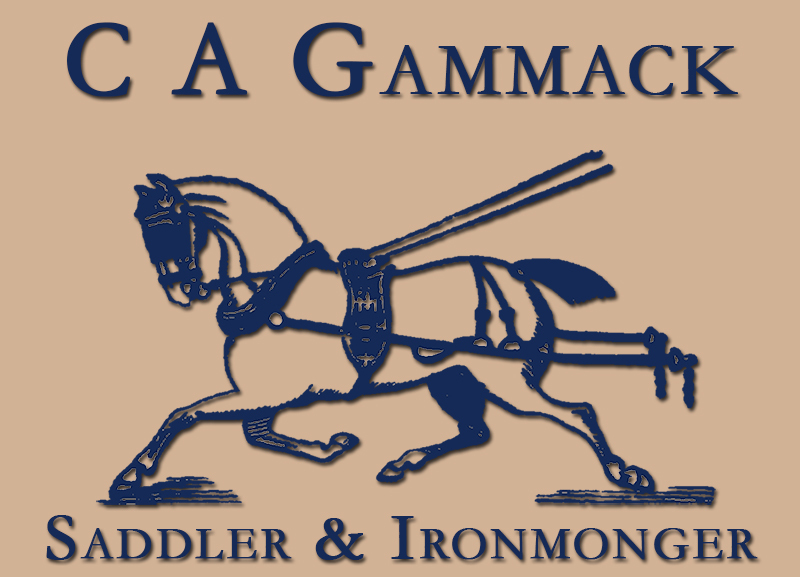 In the capable hands of the Gammack family, the store offers a unique blend of modernity and tradition. In our store, every available inch of space is crammed with an assortment of well-known brands sitting alongside local products. In an age of high street blandness, Aberlour is a notable exception, and we are immensely proud to add extra diversity to our community. Now entering the 21st century, we look forward as much as we look back, trying to preserve a slice of the wonderful Highland culture yet meet the demands of a rapidly changing world. In 1857, Alexander Garrow established the shop, later passing it to his son, David. Robert Alexander Gammack purchased the store, in 1934, and ran it until 1958, when ill health saw the store pass to his son, Charles. Charles is now retired, but continues to concentrate on his beloved beekeeping and carving beautiful sticks. 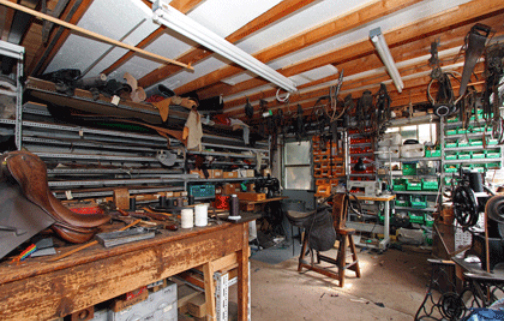 At present, Charles’ daughters Lynn, also the saddle maker, Audrey, and Ruth run the store, which continues to add to the rich fabric of this small community. We believe that our store is truly unique, as a family owned business that serves the needs of this peaceful community, providing everything from handmade saddles to garden compost. 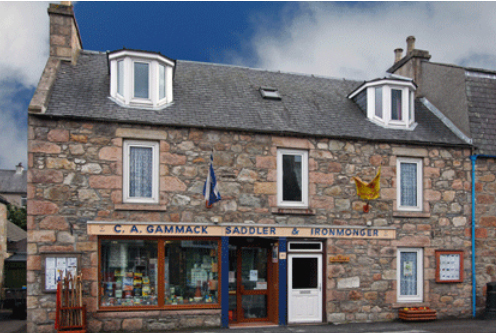 Whether you are a local needing a new pot of paint, or a tourist wanting a handmade pouch for your whisky, we welcome all customers, old and new. .
C A Gammack originally started out as a saddler and ironmonger for the local community, stocking a range of agricultural products and hardware. 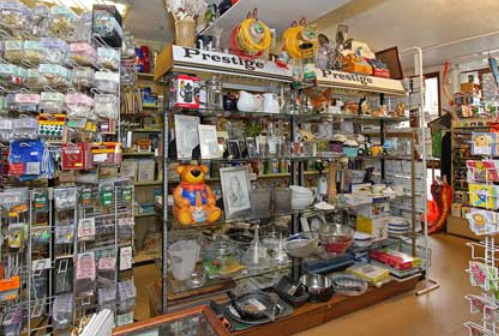 Now, several generations later, this family-owned business carries a bewildering array of products, from frying pans to bee supplies. As an independent retailer, we can choose our own range of products, designed to suit the needs of the local community and the many tourists visiting this area. On the rare occasions that we don’t stock what you need, talk to one of our staff members and they will try their best to place a special order for you.